This is the best charger for automatic continued Battery maintenance for the NiCd or the NiMh Batteries. It is fast but it stops when the battery cells reach full charge rather than waiting for them to get even hotter and trigger the thermo PEPI sensor. That helps Batteries live a little bit longer lifespan overall. But for you, as the photographer using the Charger, the daily or weekly or even monthly routine of charging your Lumedyne Batteries becomes completely automated and your Battery(ies are) is always ready to go everyday and all of the time. The Charger is designed to connect directly to one Battery through the six-pin connector where the Pack normally connects to the Battery. This does not plug into the charge jack or use the Battery’s internal PEPI circuit or light any lights on the Battery at all. The Automatic Charger is voltage sensitive and it does not care what vintage of NiCd or NiMh battery cells are being used or what PEPI circuit; it just works great on all of those type of Batteries. The CU1Z should NEVER be used with your own DIY battery like a Lead/Acid style or Lithium or LiFePo4 Battery. The CU1Z has a resetable circuit breaker to protect itself, but your battery does not. 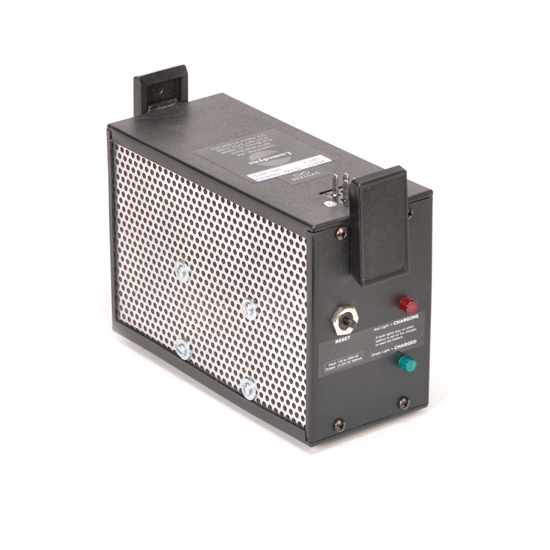 The CU1Z is international and can work on any AC voltage worldwide. YOU MUST MANUALLY SELECT THE CORRECT HIGHER VOLTAGE WHEN CHARGING OVER-SEAS WITH THE SMALL RED VOLTAGE SWITCH. It has a removable AC power cord and it can be replaced with a cable from anywhere. We provide the American cable in the CU1Z packaging. The version CU1K includes a UK cable instead. If you wanted the Euro cable, it would be the CU1E and the CU1A would go down under. If you do not select a cable in the dropdown box, the American cable will be included. The reason that we use plural extensions after the single Battery terms is because we also offer an Adapter that allows you to connect up to four Batteries at once to the Automatic Charger. The CU4A is a separate Adapter to go along with the CU1Z Auto Charger that can then plug into up to four Batteries at once. As long as all the Batteries are all healthy, then they can all be of various sizes and charge levels. The 4-way Adapter even has a warning light about bad batteries and a voltage threshold indicator that the Charger does not. The Auto Charger has two lights, one red and one green. When something is connected to the Charger, then the red light will turn on. When the Battery(ies are) is finished charging and the Charger is “sleeping for about a day” the green light will also be on. It is normal for the green light to turn off for a few minutes a day while the Charger tops off the Battery(ies).